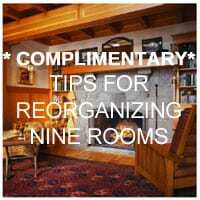 As a Professional Organizer I hear comments from clients that suggest they will not succeed at getting organized. When I hear these words and phrases I try to coach my clients through the feelings that are represented in their words and help them to overcome their internal conflicts. I asked my colleagues from Professional Organizers in Canada to share words that set off alarm bells in their brains, make them take a step back and have a discussion with their clients to help them become successful. Someone else will deal with it. – Success in an organizing project occurs when the person is willing to take ownership for the task and decisions that need to be made. Purge – This word has negative connotations related to eating disorders so sometimes this word is replaced with edit, let go, reduce and part with. How a person thinks and feels about their stuff effects their ability to make good decisions. For now, “I’ll put this here for now” – In an organizing task many decisions need to be made and putting off decisions delays getting the job completed. The more decisions a person makes the better they get at making decisions. “It doesn’t bother me but my (kids, spouse, mother) thinks I should get organized” – It needs to be the goal of the person to get organized, not someone else’s, because the person will not be motivated to get the job done. 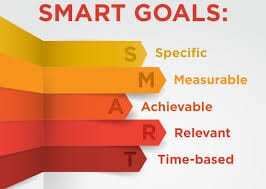 Helping people to set SMART goals helps them to be successful. “But,” – Anytime a reply starts with this word you know that a problem is going to be suggested for the solution that is recommended. This sometimes highlights that the person is not interested in getting organized and is preventing themselves from being successful by discounting ideas. “Ready” – Many conversations I have with people result in comments such as…. “Oh, I really need to get your help when I’m READY to organize” or “I could really use your help, but I’m just not READY to tackle this yet”. 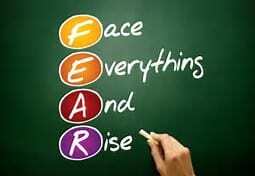 It can be an excuse to delay starting instead of dealing with an underlining fear. Can’t, overwhelming – These words identify a situation where a client is lacking self-confidence in their skills or knowledge about getting organized. Fortunately with some reassurance clients can begin to gain knowledge and success. Should – When clients think they should be doing something, they may not want to do it, they may not want to do it that way, or they may lack the motivation to do it. “I don’t want to hurt someone’s feelings” – Fear is a big deterrent in getting organized. People can be worried that their decisions may cause problems. Gaining confidence in decision making makes a person successful at organizing. In the comment section tell me what words or phases you have heard people use that stop them from getting organized. You’re welcome, I am glad you enjoyed it.